Helen Browne, with an “e” as she says, became a member of the computer club in 2010. Before long she was teaching classes, especially on Excel, Publisher, and other Microsoft Office products. In July 2011, she became a member of the Board of the Directors and became very involved in many aspects of the computer club. She volunteered to be a Program co-chairman and she also worked on the Education committee coordinating classes and also teaching. Helen served as president of the Senior Surfers from 2013-2016. Helen also worked on the copy for the NSC newsletter and the presentation blog for the weekly presentations. As part of the Program committee, she put together an afternoon presentation on genealogy which lead to the expansion of the genealogy groups from a few members to a mailing list of over 100 now. Helen’s interest in education goes back a number of years. She taught computer skills for certification at Howard High School of Technology in Wilmington. A group of Helen’s students created a website on the historical landmarks in Wilmington, New Castle County and Kent County. As a Girl Scout leader for over 20 years for girls and teens, Helen spent a lot of time helping scouts work on their Gold Award which is equivalent to an Eagle Scout and was recently honored by former Girl Scouts with the purchase of a brick in her name for the new Girl Scout headquarters on Old Baltimore Pike. Helen was appointed by the Girl Scout Council staff to interview and to recommend girls to attend competitive national and international events. Helen chaired major events for the Chesapeake Bay Girl Scout Council, planning both classes and activities. She is also a certified trainer of adults in leadership areas. 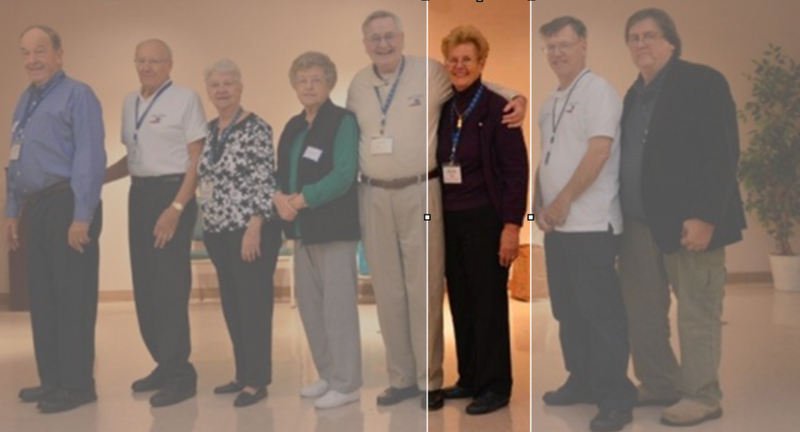 ​Thank you, Helen, for your many years of volunteer service setting an example to others and taking a leadership role in the computer club. ​A member of the Newark Senior Center Computer Club since 2004, Ann Matt is a gracious and warm participant. She greets you with a smile that lights up a room and makes you feel such a welcoming part of the group. She is a kind, generous, thoughtful and giving person. Ann has been an active member serving the club in many areas. She has served as a Director on the Computer Club Board since 2006. 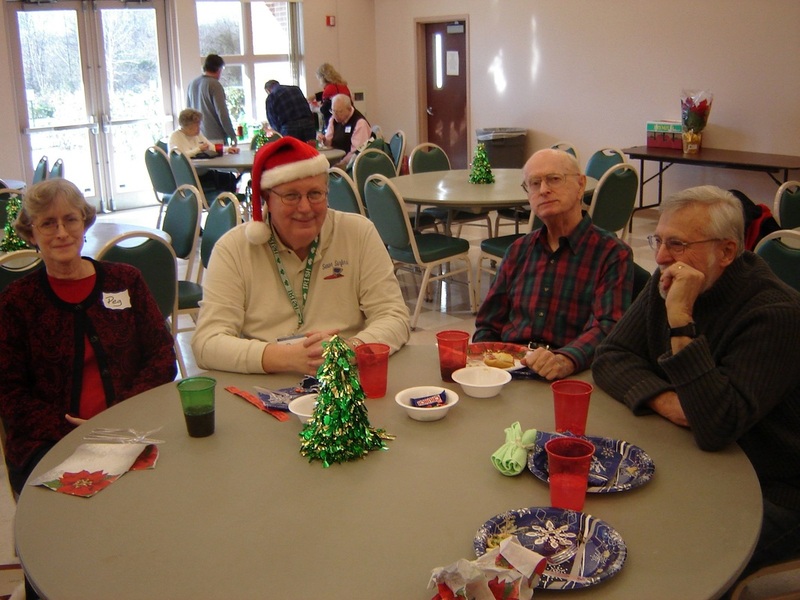 She has also served as a Greeter and a member of the Social Committee, which she has chaired for the past several years. Her contribution of foods, whether it be baked macaroni or pineapple upside cake are always a big hit. Her volunteerism outside the computer club is notable. In 1993, Ann re-established her community civic association which had been dormant for ten years. She has served as a board member and District Director for District 1 (26 homes) from 1993 to the present. Ann hosts all board meetings at her home, approximately eight every year. She chaired the decorating committee for holiday decorations for 15 years. For the past twenty years she has organized the semi-annual garage sales in her community which included all newspaper advertisements and posters. She also oversees the community newsletters - six to eight per year. Ann is also the community liaison with the county police attending private and public meetings to discuss law enforcement cooperation with the community. She represents her community at other area civic associations as well. At St. John the Beloved church she has been a fixture at the Knights of Columbus pancake breakfasts since 1996. She participates in the St. John's Leisure Group preparing monthly lunches for parish seniors. At the annual Blue Mass at the church (attended by dignitaries) honoring Police, EMTs, Firemen and Military personnel, she is involved in the food service for over 160 guests. Ann is truly the special kind of neighbor who is always there when an emergency arises with a warm meal or any help needed. It is an honor to recognize Ann for all the years of service to the Computer Club and to recognize her extraordinary service to her community. Success comes to clubs in many ways and what rounds out the success of the Newark Senior Center Computer Club is our Apple specialist Doug Irish. 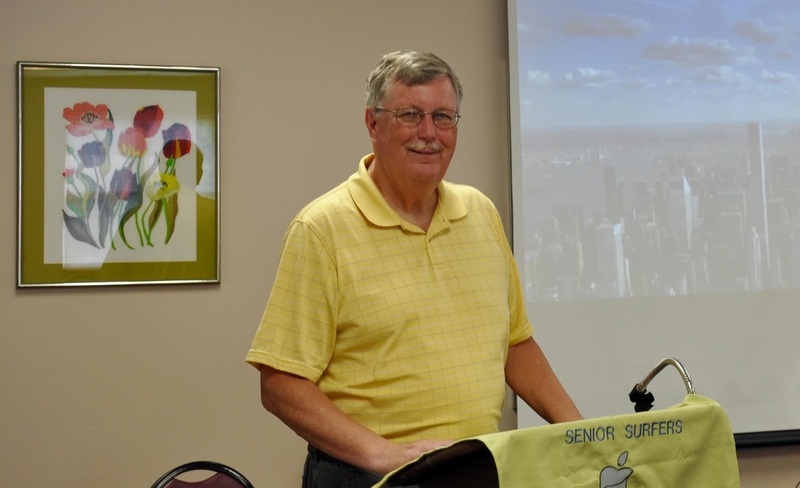 Doug, a former Board member, recently completed his 65th Apple group presentation. These presentations are in depth and there is always up to date Apple information. Doug does an excellent job preparing for the last Monday of the month classes, which are very well attended. Doug became a club member in 2009 and hasn’t missed a beat when it comes to assisting Apple users -- whether it’s an iPod, iPhone, iPad or Apple computer. He established one-on-one help for Apple users in the lab on Monday afternoons between 1 and 3. Members can make an appointment for 1 hour. Many members of the Senior Surfers belong to the 50+ Volunteers. 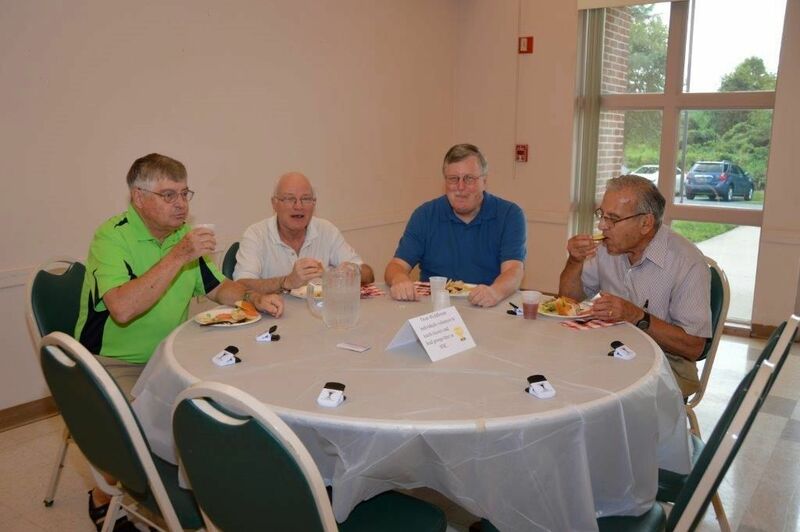 ​This organization recognizes senior volunteers throughout the State of Delaware who reach out into their communities to make a difference in people’s lives. Hours are recorded monthly and sent to the 50+Volunteers office. Doug developed a special form that keeps this process running smoothly. Thank you, Doug, for reminding many of us and forwarding our hours for us. ​The Newark Senior Center annually recognizes members for their outstanding contributions for the growth of the center. 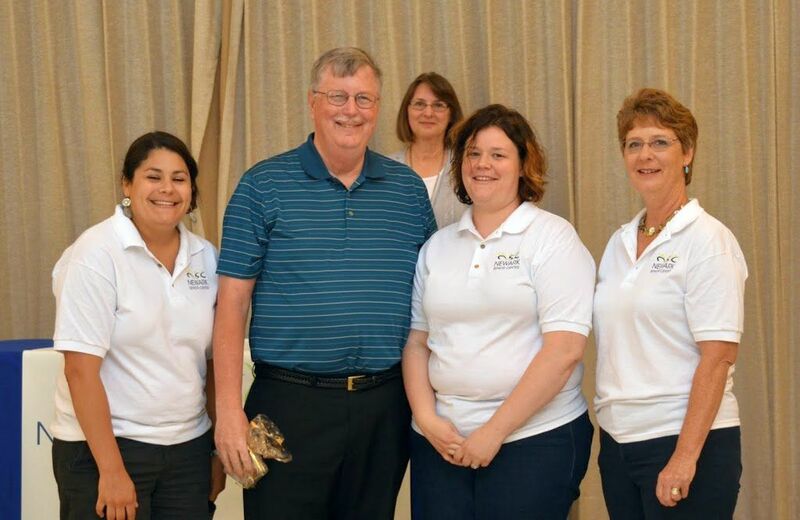 Doug has been a recipient of the Jefferson Award. Doug and his wife Peg were very active in the “Let’s Dance” group that meets Thursday afternoons. His home enjoyment is playing one of his many guitars. To Doug we give a shiny red Apple for his devotion in spreading the knowledge of Apple products and for always being there to answer the needs of our growing Apple population. ​Doug, you have been a tremendous asset to the computer club and we appreciate all your efforts. Well done! If you have been in the computer lab at the Newark Senior Center you probably have seen or talked to Toni Visich. Toni performs a myriad of tasks for the Senior Surfers on a regular basis and is probably one of our most active recruiters and good will ambassadors. Toni has been a member of the Senior Surfers since 2005. ​Toni attends the monthly board meetings and reports on the committees which she serves, providing detailed information on issues the board needs to vote on. She serves on the lab update team that brings all the lab computers up to date on a monthly basis. You are sure to find her in the lab most Mondays and Thursdays for the open and club sessions, offering help to our visitors. She is the resident expert on converting VHS to DVD. Toni is also a go-to person for using the slide scanner and is often seen with the club camera taking photos of our events. ​For the past several years Toni has been appointed to lead the Nominations Committee. She had the responsibility of finding candidates for board and officer positions, overseeing taking photos, collecting information for ballots and collecting ballots during the two weeks prior to official voting and counting votes during the social. She faithfully arranges for a volunteer to oversee the lab on Wednesday afternoons and has helped numerous Senior Surfer members with personal projects, doing whatever is necessary to help them accomplish their goals. She has volunteered as helper in many lab classes, worked on the CD committees, helped with Open Houses, works for the semi-annual center sales, and performed many other valuable and useful roles in her tenure with the computer club. Toni also keeps busy outside the Senior Center. She volunteers for her church, St. Mary of the Assumption. She has been an active member of the Sages (an over 50 group). This group prepares and serves lunch for 80 to 100 monthly. She is a founding member of the Lazarus Committee (35 years), which provides lunches for bereaved families and their friends after funeral services. Toni quietly encourages those who are going through a difficult time through her visits, phone calls and homemade delicacies, which are very uplifting to the recipients. Toni was on the Junior Board of St. Francis Hospital over 5 years. While on this Board she started volunteering at Christiana Hospital with the Infant Hearing and Assessment program, eventually coordinating the program, putting in over 2,000 hours. 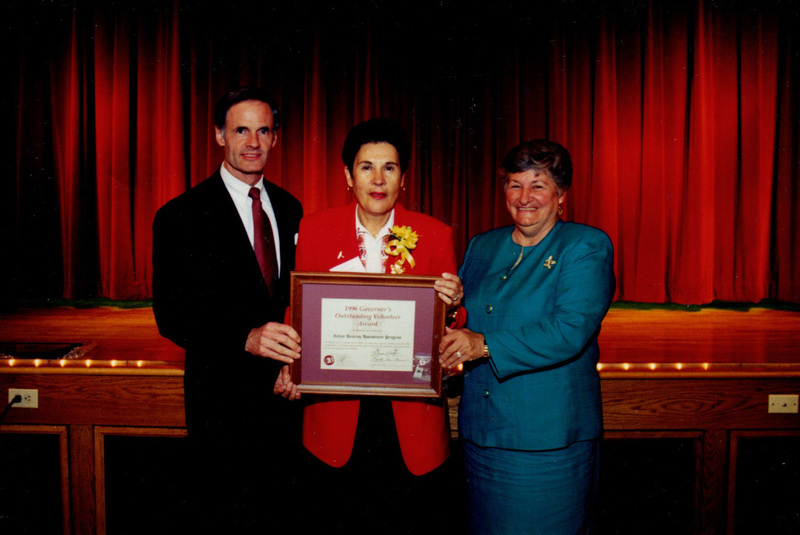 In 1996, Toni received the Governor's Outstanding Volunteer Award in Dover. For 20 years she volunteered annually for the Ronald McDonald LPGA tournament doing photo IDs for the news media (over 400 a year), starting with a Polaroid camera and then on to a digital camera which cut the time process in half. Toni, you are a valued member of the Senior Surfers Computer Club and an inspiration to anyone who volunteers. Thank you for all that you do! Ned Milbrandt - who doesn't know him. A gregarious computer club member since 2006, he has had many roles in the club that have been very beneficial to the club's growth. He has assisted Jim Kniskern with the beginners classes, been a member of the Board since 2009 as a Director and has served as Program Chairman since 2013, selecting various topics where the digital world comes to play. As Program Chairman, Ned presents guests in a humorously relaxed manner. He also does presentations on a variety of topics. At one session he was especially humorous telling the group "I can't help it, my mother was a clown in the circus". In the lab, Ned is the go-to man for the Audacity program working with members who wish to convert LPs to CDs. Ned's goal in all he does in the lab is to teach and then have you "wing it". His motto is "we teach ourselves". He has tirelessly worked with the Lab Updates group and given many hours assisting with classes. In 2011 Ned received the Jefferson Award for public service, a certificate of excellence. 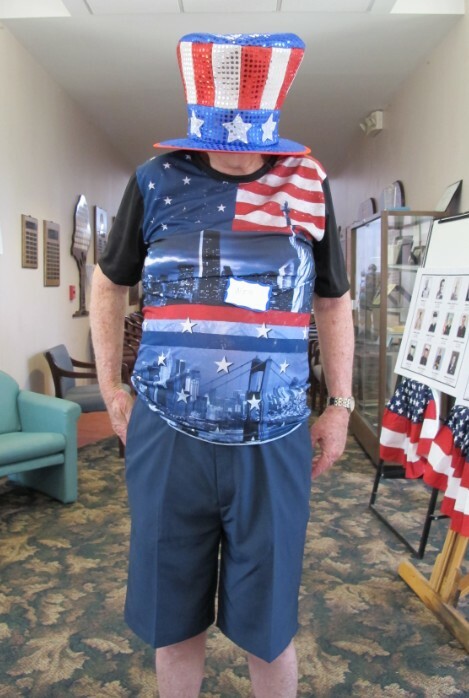 Ned has expanded his wings to the billiard/shuffleboard room at the Senior Center. Along with a few "buddies", a new pool table was purchased; this group also maintains the equipment in this room. Ned has organized the Tuesday afternoon shuffleboard group and initiates further socialization with "breaking bread" at Perkins. Ned is a great ambassador for the Senior Center introducing himself to people in the hallway and "selling" the computer club. He has brought many new center members to the lab and given them a room orientation. When you attend a club event and happen to hear a boisterous male laugh, most likely it is Ned. He keeps everyone laughing, even when he jokes about himself. As you walk the corridor to the southwest entrance you will see his familiar face greeting you on a wall poster near the computer lab. Smile and give him a wave. Behind the scenes of every successful production there is a dynamic cast. How true this is of our semi-annual socials. A tireless committee led by Anna Matt with assistance from Ellen Pringle, Peggy Phillips, Donna Rhine, Phoebe Doherty, Ron Vegoda, Dennis Foley, Joann Callaghan, Betty Moseley, Dolly Meleski, Anna Broccoli, Ann Foster and others throughout the years have made our social events a huge success. Before the tables are even set, months of preparation have been going on. A theme is selected and decorations are agreed upon. Supplies are purchased keeping in mind the theme. The committee is also involved in the prizes selected for the drawings. This energetic group is still at work after you leave restoring the Evergreen Room and putting everything back in place. ​So the next time you walk into a Newark Senior Center Computer Club social, take in the ambiance -- a lovely decorated room, tables with attractive centerpieces and the food you brought, all appetizingly set out for you to enjoy. With much praise to the entire Social Committee volunteers, past and present, we can say "A job well done!"